Time can be hard on the skin and the soft tissues beneath it. 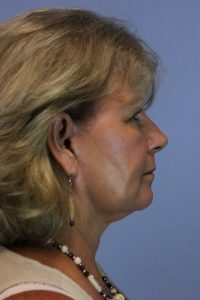 As our skin loses elasticity, gravity has its way and the folds, lines, and sagging skin on the neck and chin can become unsightly and make us feel even older than we really are. A popular way to deal with the inevitable march of time is to visit a cosmetic surgeon and begin on the path to rejuvenating our skin and bring back the youthful look that keeps us looking and feeling years younger. Marc Taylor M.D. at Timeless You of San Antonio offers a neck lift procedure that offers tightening loose skin and muscles around the neck and removing excess skin. Neck lifts, for tightening loose skin and muscles and removing excess fat in the neck, can be done in a variety of ways in order to meet your specific needs and concerns. Often times tightening loose skin is performed in combination with other procedures such as natural fat filler injections to restore facial volume, a full facelift, or eyelid surgery to achieve the overall results you are after. 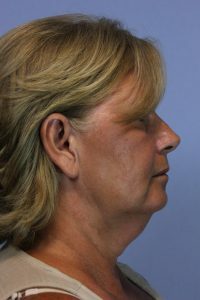 A neck lift is usually done under a mix of oral sedation and local anesthesia and is an outpatient procedure lasting about 2-2.5 hours. Some people only require a small incision in the crease under the chin, while others also need an additional incision in the skin creases in front of the ears and around the earlobes. The loose skin and muscles are tightened, and any excess fat and skin are removed through these incisions. There will be some swelling and bruising in the areas of the procedure after tightening loose skin, which mostly resolves in 7 to 10 days. Special surgical dressings and compression garments have to be worn and are used to minimize swelling and bruising and to aid in healing. Because the bruising and swelling can never be predicted, planning to take 7 to 10 days off of work is usually best, and you will be asked to refrain from strenuous activity. Due to the medications that are given during the surgery, a driver to and from the facility is needed. It is also good to schedule someone to help you for the first couple of days, because to help keep swelling to a minimum, most surgeons have their patients sleep in a recliner or with extra pillows at a 45-degree angle and require the use of either ice packs or ice bags that need constant changing. If needed, most offices can help you find relatively inexpensive professional help, such as Visiting Angels.